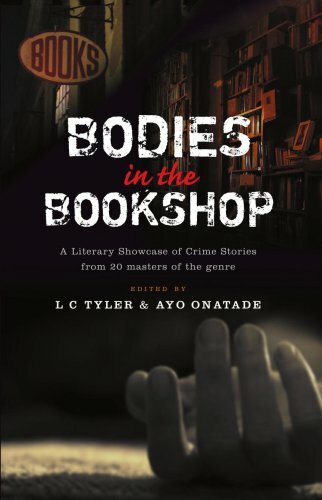 Investigate the killer plots of twenty mysteries - nearly all specially commissioned and all with a literary flavour - published in honour of Heffers and independent bookshops everywhere. Chase down the criminals in new stories featuring Carole & Jude, Gary Goodhew, the Good Thief and the redoubtable Baroness "Jack" Troutbeck, by their respective creators: Simon Brett, Alison Bruce, Chris Ewan and Ruth Dudley Edwards. Uncover further misdeeds, with enticing offerings from Kate Charles, Ann Cleeves, Judith Cutler, Ruth Downie, Stella Duffy, Martin Edwards, Christopher Fowler, Michael Gregorio, Susanna Gregory & Simon Beaufort, Elly Griffiths, Jenna Hawkins, Suzette A Hill, Peter Lovesey, Michelle Spring, Andrew Taylor and L C Tyler. Their works, collectively, feature every crime in the book. The brief to the contributors was for a story based on any or all of four themes: bookshops, Cambridge, books and libraries. We succeeded with the first three, but, in the absence of any library-based offering, two stories on other themes have sneaked in, though not undetected!